Ever tried fly fishing from a kayak? It’s an amazing way to catch fish, but the big problem is that your fly line has way too many chances to get snagged or tangled while fishing from a kayak. 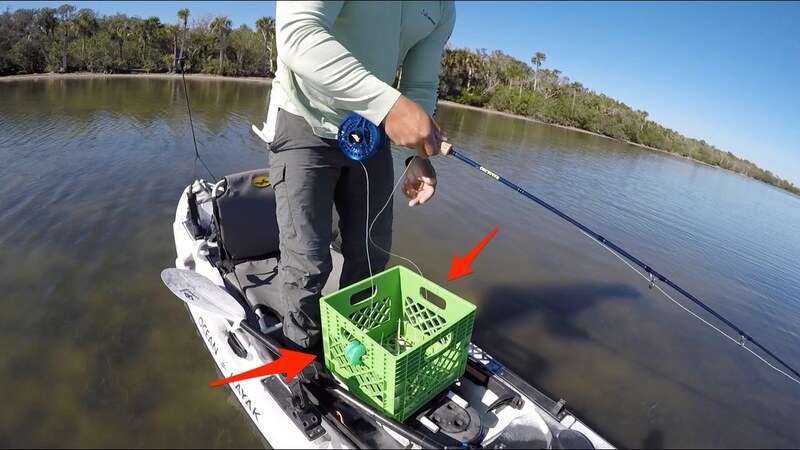 Without a proper stripping basket, fly fishing from your kayak can be a huge mess. Of course, the bad news is that a large fly stripping basket can take up a lot of room. While on a trip to Home Depot, a stack of milk crates caught my eye. They were small enough yet just the right size to hold my fly line and still not take up too much room on my kayak. Check out how it worked in the video. Do you have any other questions about fly fishing from a kayak?